One week after winning the Lower State AA Championship for 2012 the Rebel Regiment took to the field at Spring Valley High School with their ultimate goal on the line. 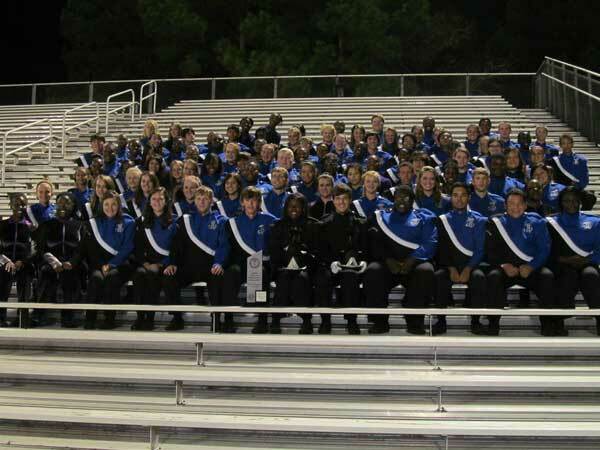 When it was all over the young musicians from Strom Thurmond High School had achieved what 16 bands in the state had tried so hard to do as they were declared the AA State Champions. 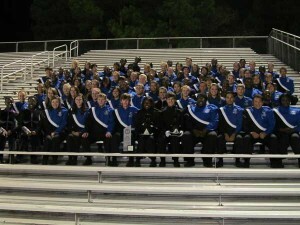 “This group of band students were amazing the entire season,” declared Thurmond’s Band Director, Van Clark. Mr. Clark is assisted in preparing The Regiment to present the Frank Sullivan music while executing intricate marching maneuvers by Mr. Justin Craig and Mr. Dave Hill. Supporting The 2012 Regiment’s march to the State Championship is a dedicated staff made up of Marching instructor Sarah Brown, Color guard Instructors Tevin Middleton and Candance Craig, Color guard Choreographers Jonathon Colvin and Tevin Middleton, Percussion instructors Brian Turner and Tim Altman, Music arrangers Matthew Smith and Jason Frith and Drill Writer Jeffrey Fackler. One Response to "Rebel Regiment Wins It All – AA-State Champions"